09078 - Pyramid - 32H x 21"W x 21"D"
09078 - Richard Glaesser Largest Pyramid - Nativity, Shepherds, Wisemen, Angels etc. 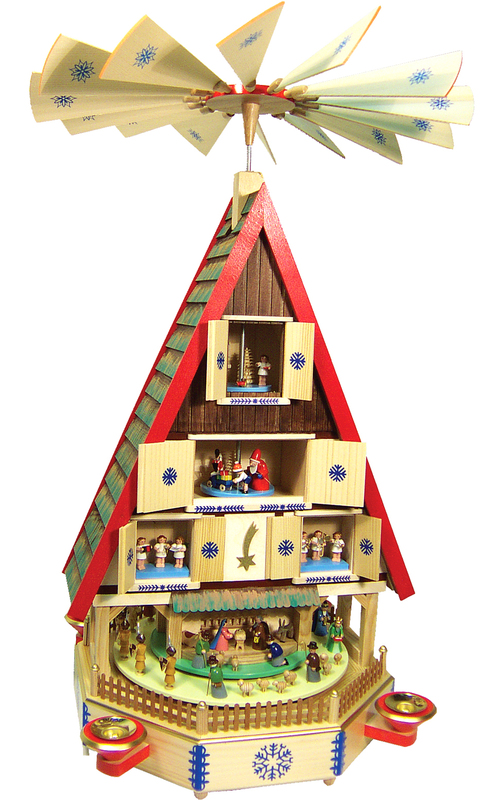 - 32H x 21"W x 21"D"
Richard Glaesser pyramid - house design - our largest pyramid! - has everything - Santa - angels - nativity scene - shepherds - soldiers - etc.! - made in Germany - uses #29325 white - 29325N natural - or #29324 red candles.